In the future, this is how we will park our flying saucers. 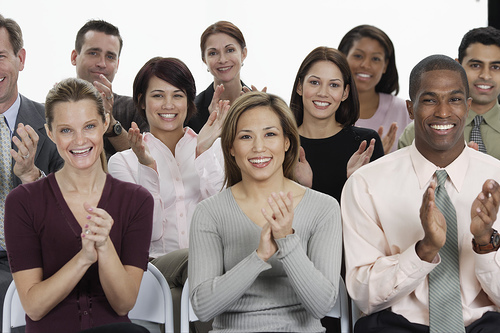 When we’ve finished one book, we can’t just wipe our hands and go get a sandwich. No, it’s time to get to work on the next book. Ha ha! If only it were that easy! Because of course I’m leaving out the bit between where we feel satisfied/go eat a sandwich and then start our next book. Between those two things we have to Talk to People. People We Don’t Know. Very nice, encouraging strangers. Not the ones that give you nightmares. Of course, in our new Writer’s World, we’re talking to people we don’t know all along. Twitter and Facebook and Blogs and more Twitter and so forth, churning out little soundbites (writebites?) over which we have at least the illusion of control. And it could end there, really, in these microenvironments, but at some point, most of us are going to have to get out there and try to interact face-to-face with actual humans, in the form of book signings and book tours (even if our tour comprises the book store in our immediate neighborhood) and even parties where we run into people who could have, or should now leave the party to go, read our book. And it’s here where the burden we carry becomes supremely evident. When I was in ninth grade, in the mid-eighties, I found Dave Barry. If you’ve never read any Dave Barry, I suggest you stop wasting time reading this column and go read him, right now. It’s the only way you’ll get the full impact of what he meant to a sad, “different” girl (I was a punk at a time and in a town where just wearing Chuck Taylors was enough to bring derision down on your head, much less having a head sporting less hair than others, due to the fact that I’d shaved quite a lot of it off) to find something that, for the span of time reading that article, made her forget the outside world and actually laugh at something. He created for me an alternate universe, one where things were light and funny and even when he drew in current events it was in such a way that, generally, I was unable to draw breath for whole minutes at a time. I followed him for years and years, always searching out his column in whatever town I moved to, the one small space of home in a kaleidoscope of change. Fast-forward a few decades, and I am, for the first time, going to meet this man, Dave Barry, on his tour for his newest book—this man who, through his writing, brought me so many moments of joy and laughter. A man who, honestly, has never heard of me and has no reason whatsoever to pay any more attention to me than the sandwich he will eat during the lunch I will share with him…and seventy-five other people. Imagine the space in my heart I carry for him and his work, the relationship I’ve had with his writing over the last thirty years. Imagine what it’s meant to me to have looked forward to his columns, and now to look back over so many years and see the line of bright spots his writing has created. Imagine how I called the second I saw the announcement of this event to buy tickets, terrified they might already have sold out, then the elation of securing a spot, and how my fingers shook as I put the day and time on my calendar, hardly daring to look it was so exciting, but carrying that day inside, warm, waiting to arrive. Imagine being him. Imagine being in your sixties, exhausted, on the third leg of a brutal book tour, with yet another meet-and-sign to get through, God, this one made up of having to sit through an entire lunch. What will be going through his mind? Will he be wondering how quickly he can get through it? Will he be grouchy because he’s in yet another time zone in a backward progression where he is actually getting less sleep, not more, because it’s right after Spring Forward? Will he be thinking of the event he has later that night, trying to conserve energy to make it through both, by not truly engaging in this one? Imagine being him, meeting me. Imagine killing thirty years of love and caring and specialness, because you’re focused on your own crap. Imagine losing that fan, a fan who has raved about you their entire adult life, who has clipped your writing to share with friends, to save because it reminds them of that one time, imagine having all that crash to the ground because of one interaction with you. Then imagine creating a cherished memory, a story someone will tell and re-tell. Imagine adding a personal dimension to a reader’s experience of your stories. Imagine how much it could mean to someone, the decision to shove that headache to the back of your awareness and, for a brief moment, authentically connect. This is the weight I’m talking about. We carry the weight of dreams, of hopes; we carry people’s souls in the ships of our books. You may meet countless people; they meet one—you. 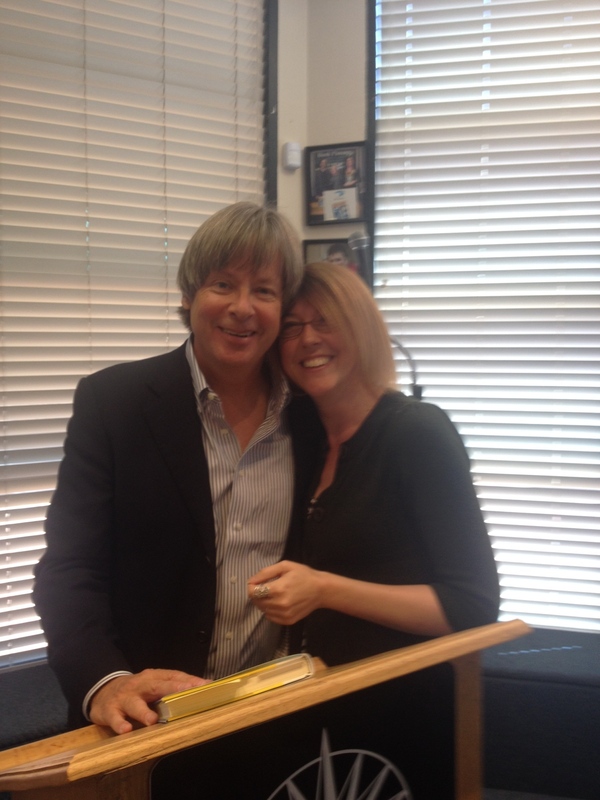 Me and the wonderful, amazing, extraordinary Mr. Dave Barry.